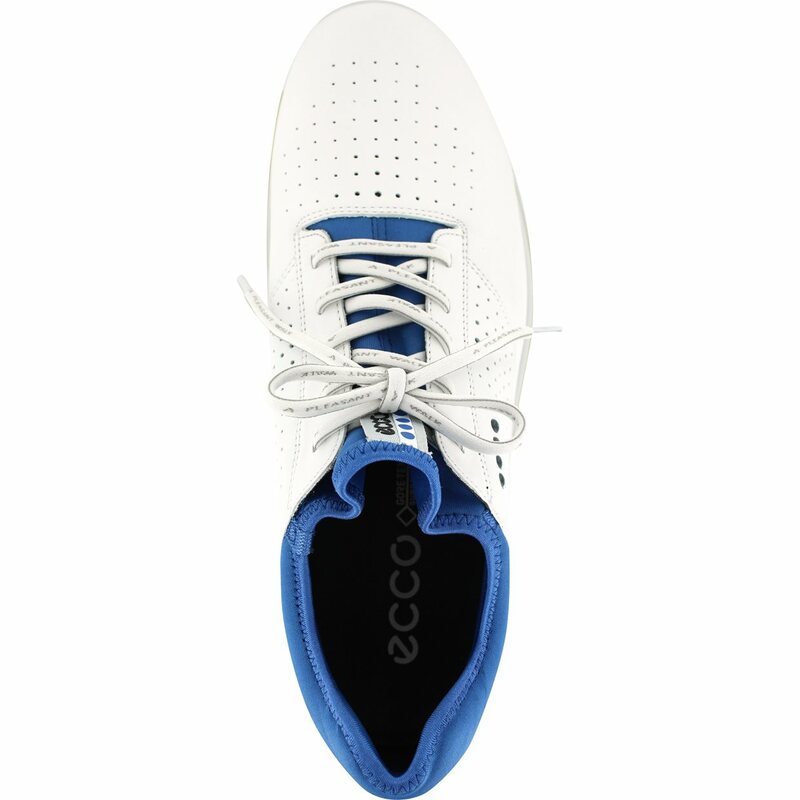 The Ecco Cool 18 GTX golf shoe is engineered to keep your feet dry and comfortable throughout every game and every weather condition. 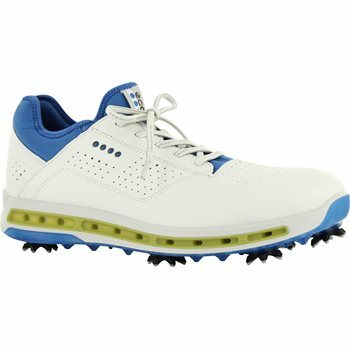 It features GORE-TEX, a 100% waterproof membrane that prevents external wetness while allowing full breathability from all angles, which allows the foot’s natural moisture to escape. The direct-injected midsole also allows optimal breathability and air flow with inner air channels. 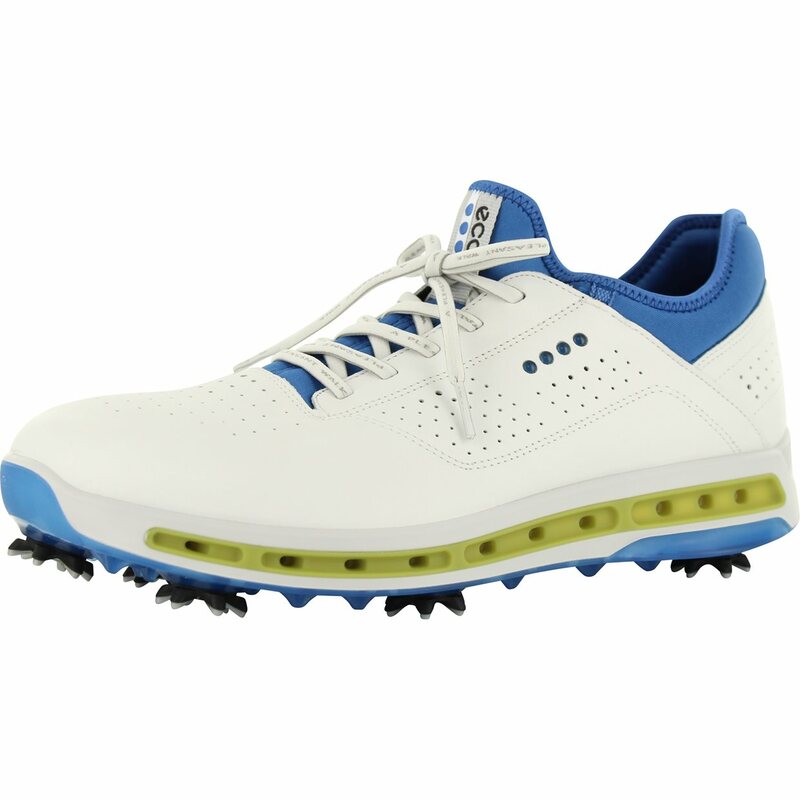 The upper is constructed with a combination of soft and durable Dritton leather and technical stretch fabric, which provides an athletic look and feel. The inlay sole is designed to provide added stability or it can be removed to provide extra room for a wider foot. 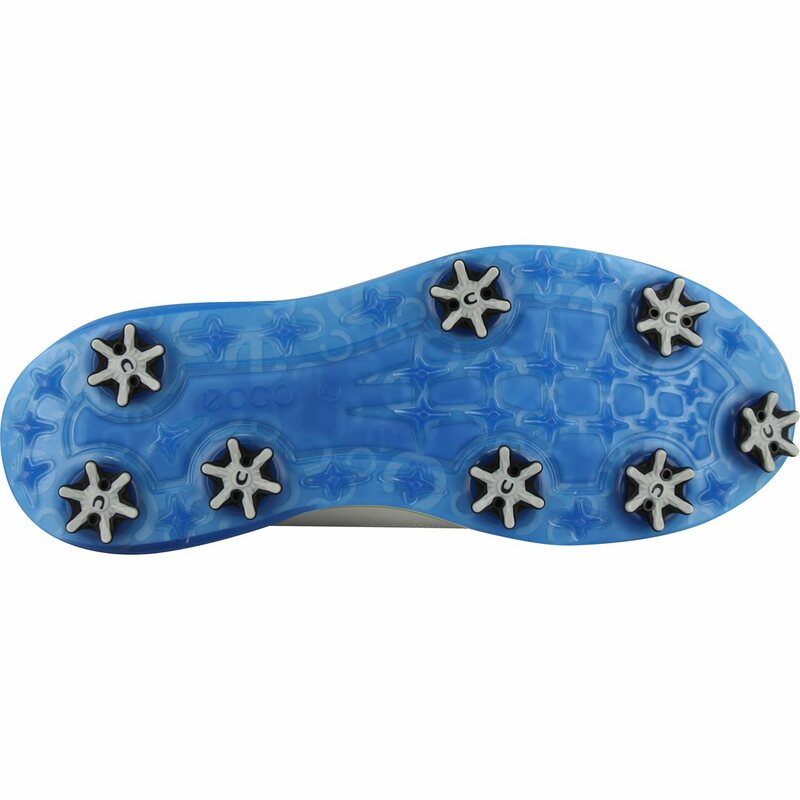 Another feature of the Cool 18 GTX is Champ Slim-Lok soft replaceable spikes, which provide reduced weight, ease of replacement and excellent traction.